When you spot a tea seller or a chaiwallah next time, you might also be sipping a hot cup of chai from a prospective Chief Minister or an author in the making. Don’t believe me? Well, ask Google for Narendra Modi and Laxman Rao. 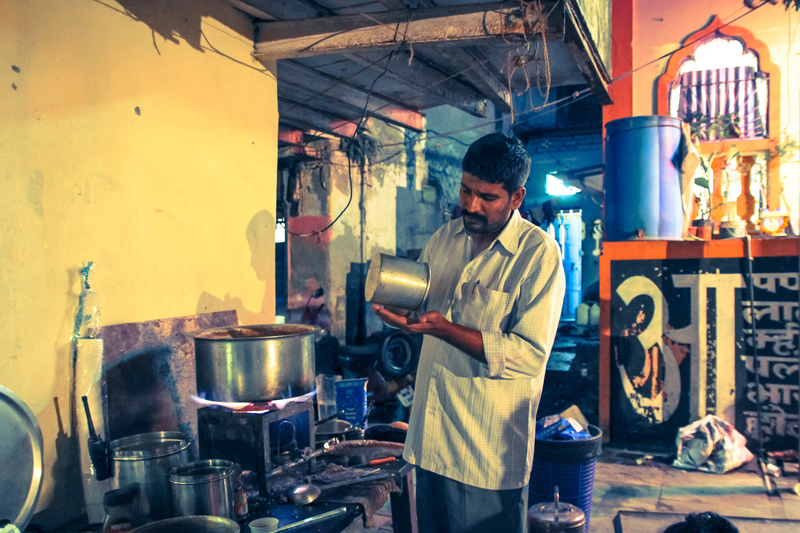 Chai wallahs of India, a blog dedicated to tea sellers across the country, started off with two students who loved chai, and was captivated by the diversity of chai wallahs in India. “We lived in Delhi on Fulbright fellowships for a year in 2010, and during our year, we traveled all around India. We were fascinated by the fact that everywhere we went – from the deserts of Rajasthan to the snowcapped Himalayan mountains surrounding Leh – there was chai, and behind every cup of chai was a chai wallah. 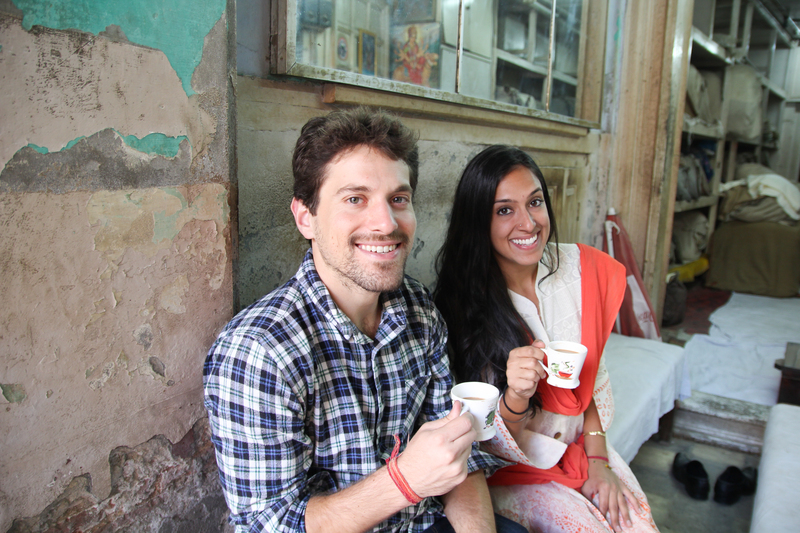 It was exciting to discover that chai is a common thread uniting India,” says Resham Gellatly, a Boston University graduate, who founded the project along with Zach Marks, a Yale University alumnus. Why chaiwallahs? “After our Fulbright fellowships ended, we went back to the United States and had regular jobs – Zach was a consultant for McKinsey, and I did psychiatry research at Icahn School of Medicine in New York. 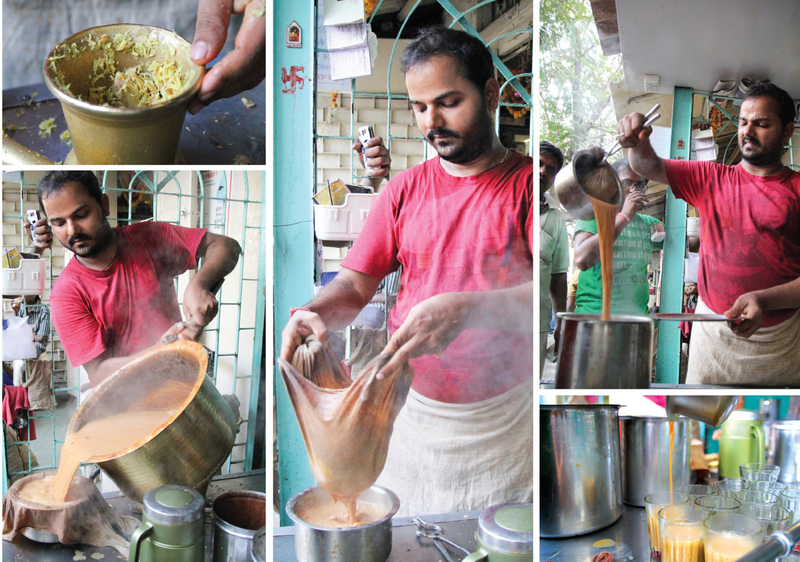 But India – and chai – was always on our minds, and about a year ago, we decided to leave our jobs and return to tell the stories of chai wallahs around the country,” adds Resham. More on how the chais were seemingly different in every state, and why they loved telling stories about chai wallahs. First of all, how many cup of chais you have for a day? These days, we limit ourselves to about five cups of chai per day. 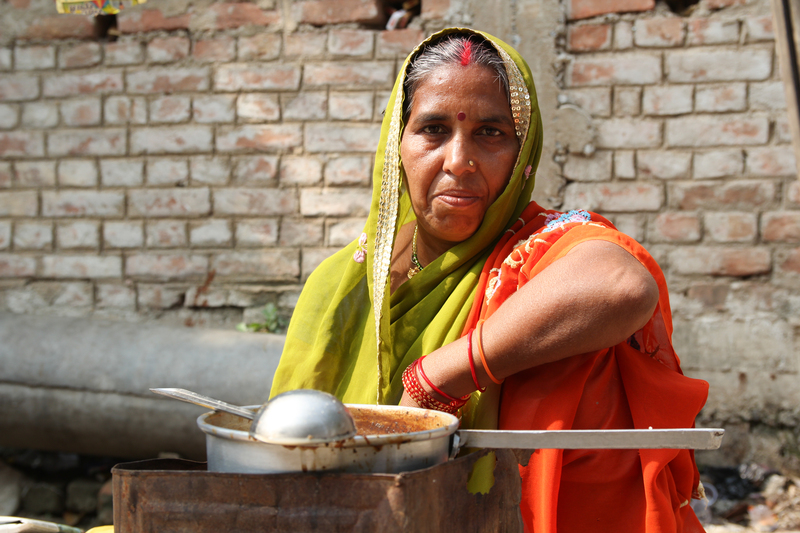 When we first arrived in India to begin this project, we were having upwards of nine cups each! Many chai wallahs we interview are extremely generous and often insist that we have a full glass at all times. Early on, we didn’t want to be impolite and say no, and we would end up downing multiple cups at every stand. We drink chai out of whatever vessel a chai wallah has to offer. We’ve sipped from glasses, clay pots or kulhars, steel bowls, ceramic mugs, and plastic and paper cups. We even met some camel herders who drink chai out of the folded leaves of the aak tree. What do you think is so interesting about the chaiwallahs? We are fascinated how everywhere you go in this incredibly diverse country you find chai wallahs. But more than their simple presence, they are really a great gateway into a community. People from all walks of life gather around the chai stand to tell stories, discuss politics, gossip or just pass the time. I read about a chaiwallah who also happens to be an author (Laxman Rao). Any surprising encounters you had while doing your project? Tell us few interesting anecdotes from your trips? 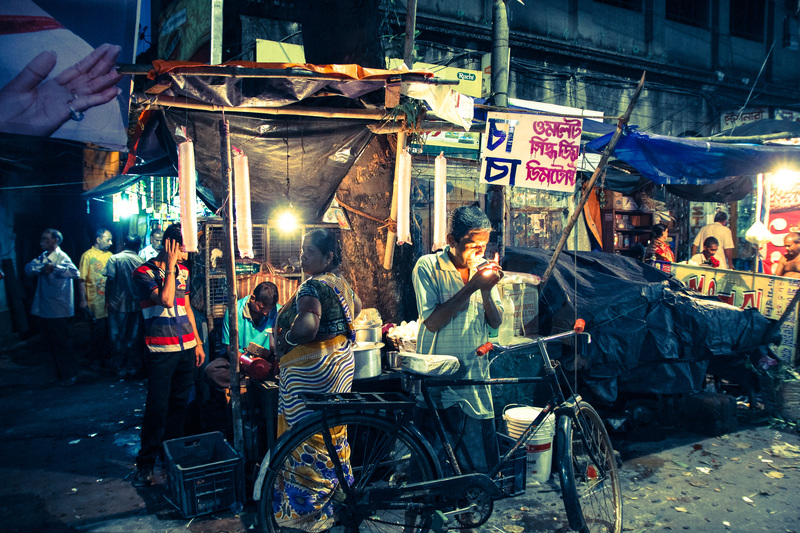 We have been off the beaten path and found chai stories where we least expected. We were driving through the remote hills of southwestern Odisha, when we saw a political campaign poster for a candidate using a tea kettle as her symbol. We asked around and ended up in this politician’s village. She’s an adivasi woman who left school after 5th grade fighting to improve everyday life in her community through the panchayat system. She said she uses the tea kettle as her symbol because tea is an essential element of everyday life for common people. Whenever people come over, she offers them a cup of tea. That’s politics at the most local level. Of course, you see chai wallahs in a more prominent national political role with the rise of Narendra Modi, a former chai wallah. We were in Patna for his rally because the BJP had encouraged chai wallahs to put up posters branding themselves as “NaMo Tea Stalls.” We just happened to be there when the bomb blasts happened. It’s crazy to think of all the places this journey has taken us. Did you find any stark differences in ingredients they use in different places? While masala chai – milky, sweet and spicy – can be found nearly everywhere in the country, there are numerous regional variations on the classic recipe, with some chai wallahs making theirs extra spicy with handfuls of adrak and others adding ground elaichi. We have also found preparations of tea that we never expected to encounter. In Kolkata, lebu cha, made with lemon, kala namak, black pepper, and a pinch of jaljeera, offers a refreshing and tangy alternative to masala chai. In rural Odisha, we drank tea made with lemongrass, mint and ginger. 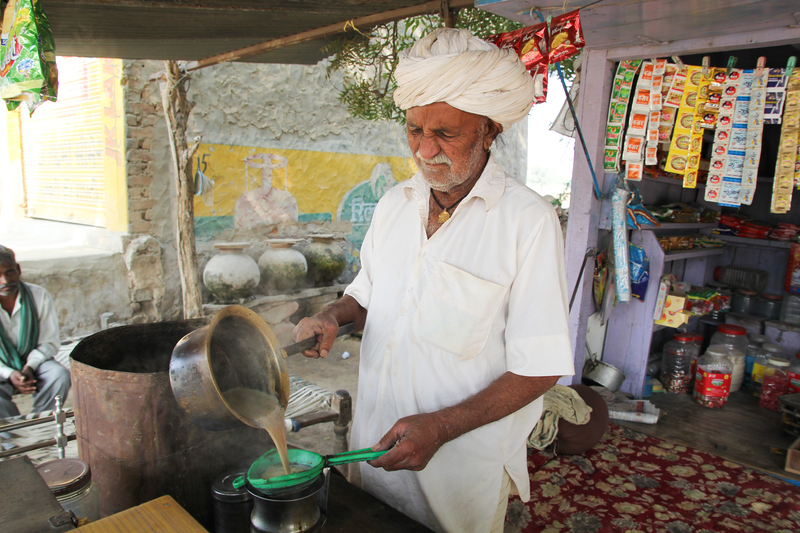 Camel herders in Rajasthan use milk from their camels to make chai, while Punjabis often use extra creamy buffalo milk. Though chai is a common thread throughout the country, the unique tastes we have found show that even in unity, there is diversity. What can the readers expect from this project in the coming months? In the next few months, we will be traveling around south India to explore the chai and coffee culture in Kerala, Karnataka and Tamil Nadu, and we are also heading up to Assam and Darjeeling to visit tea estates and hear stories from people on the supply side of the industry. As we travel, we will be blogging on our website, chaiwallahsofindia.com. The ultimate outcome of our research will be a book, which we are working on as we travel. We don’t have a release date yet. This article by the author was originally published in Fusion Life, a Delhi-based fashion and lifestyle magazine. All images are courtesy of Zach Marks and Resham Gellatly.